The Green Girl participated in the EIF Revlon Run/Walk for Women 5k this morning. 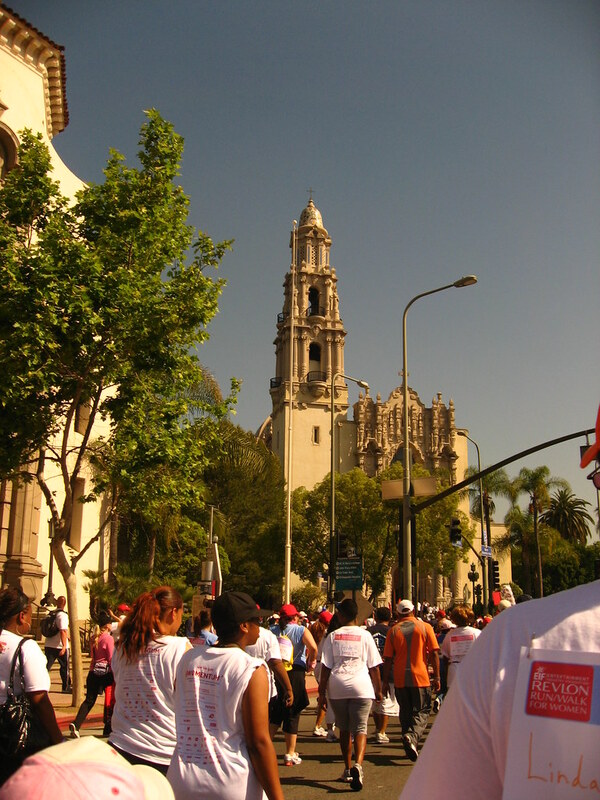 The EIF Revlon Run/Walk for Women 5k is a bi-coastal event. Over 40,000 people gathered in Times Square and walked through Central Park last week for the EIF Revlon Run/Walk for Women 5k in New York. 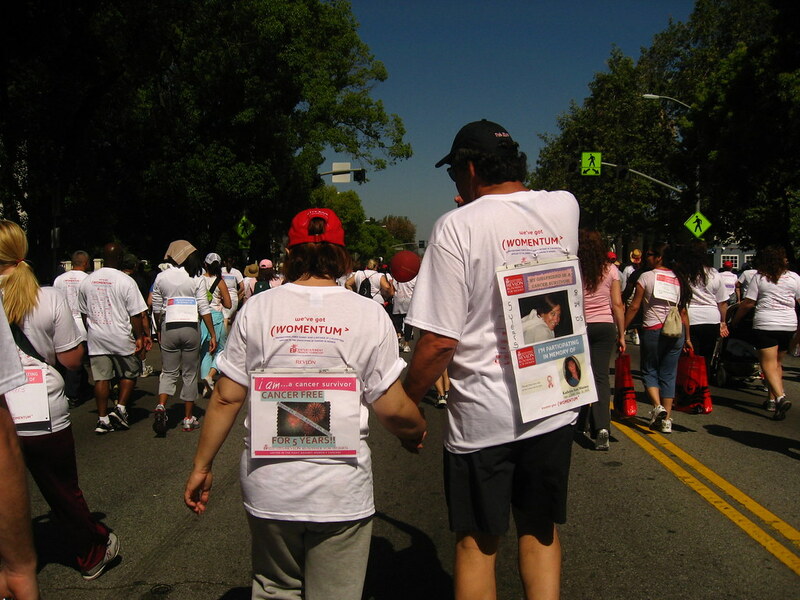 Here in Los Angeles, about 30,000 participants turned out in solidarity against women's cancers. The race started in front of Los Angeles Memorial Coliseum at Exposition Park. 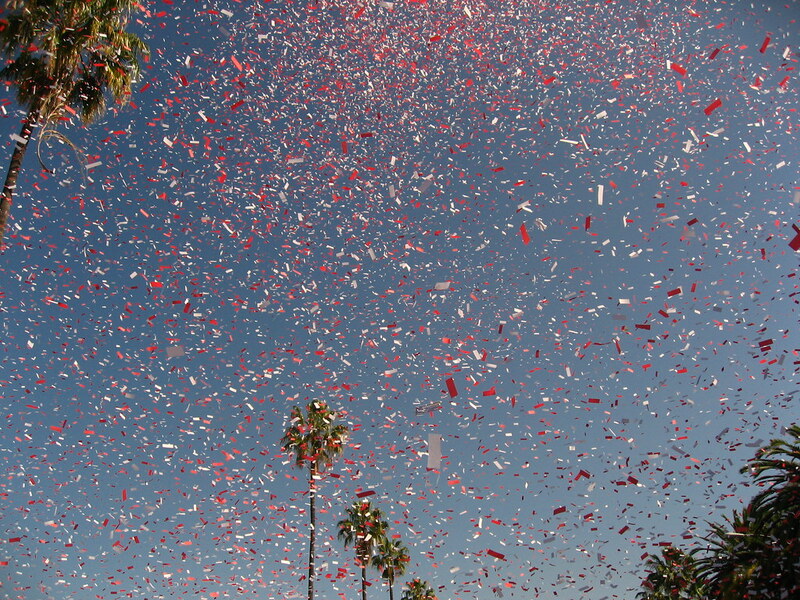 Confetti showered us as we crossed the Start Line. This event was unlike any of the races I'd been in before. It was evident that the organizers put a lot of thought into making it a memorable experience for all those involved but especially for the survivors. It was not about who crossed the finish line first or trying to PR. It was truly about helping to raise money to fund cancer research and deliver treatments and services to under-served women. Cancer survivors were honored at this event with special red Survivor Caps. 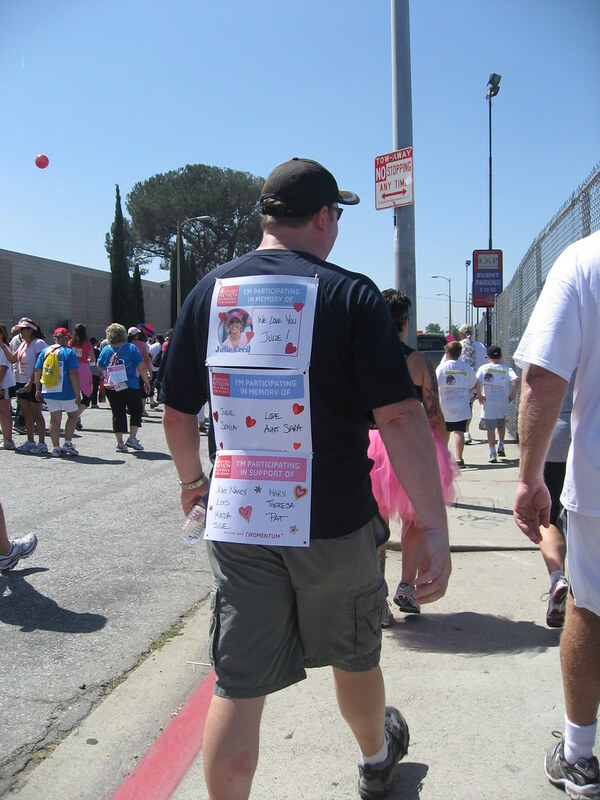 Participants pinned personalized tribute signs to the back of their shirts with the words 'in memory of', 'i am...a cancer survivor' or 'in support of'. One couple walking in front of us had tribute signs. His sign said 'My girlfriend is a cancer survivor' and her sign said 'Cancer free for 5 years!!'. 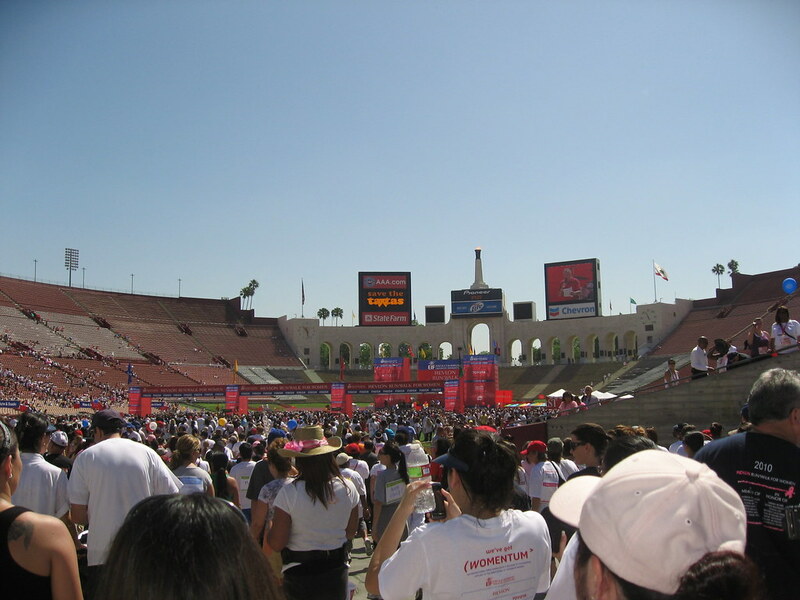 The route formed a U around the Los Angeles Memorial Coliseum. Taiko drummers provided entertainment to the crowd. The Finish Line was actually inside the Coliseum. We were funneled through a tunnel and into the center. After we crossed the finish, we received brown paper bags with snacks and a gold medal on a red ribbon - the Green Girl's very first 5k medal! 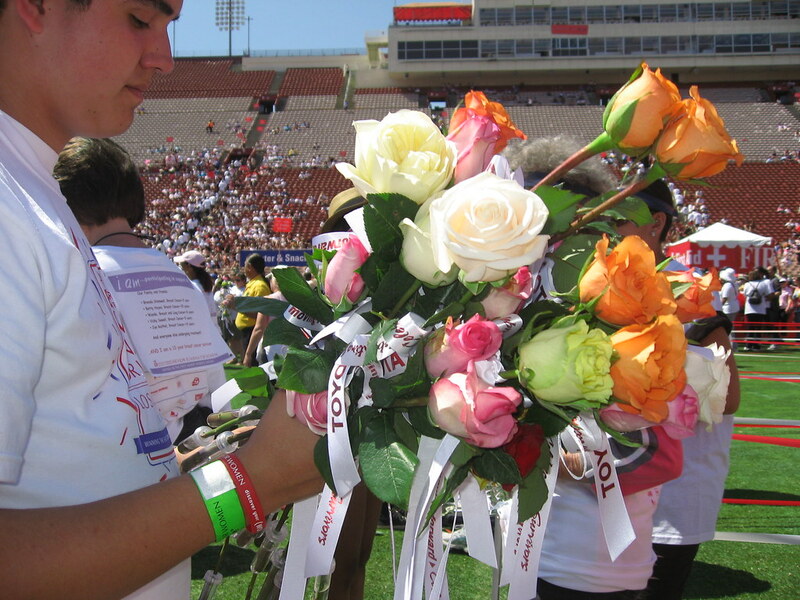 Cancer survivors received a rose after they finished. There was also a Survivor Hospitality Tent where they could get special commemorative survivor photographs. Congrats on your medal and doing it for the cause! I don't know anyone whose lives have not been turned upside down by Cancer.